Discussion in 'Mexico Fishing Reports' started by Fish Scorpion & El Regalo, May 26, 2018. 35' Cabo "El Regalo" and 26' "Scorpion"
The weather has been starting to get as hot as the fishing on the East Cape. Conditions have been near perfect with the exception of a few windy days here and there. Tuna, tuna, tuna!!! 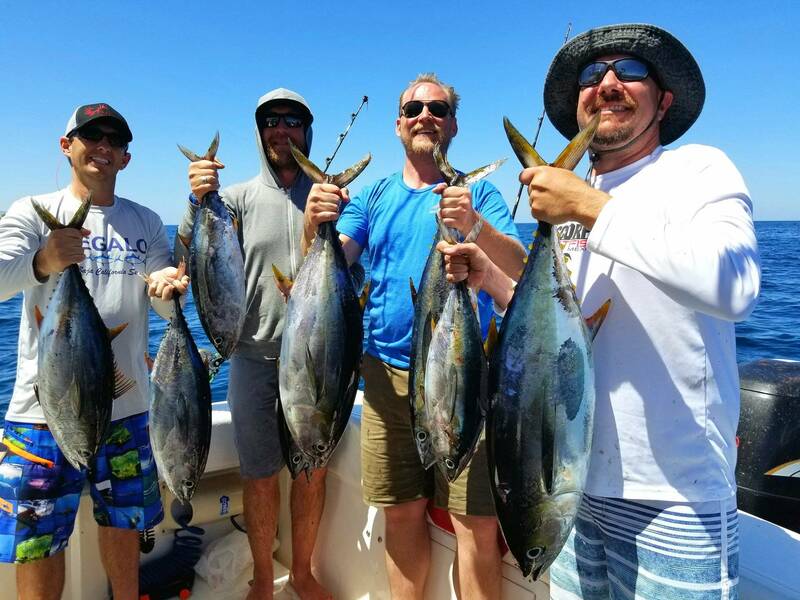 The tuna fishing continues to be red hot. Almost all boats willing to make the run outside to find porpoise have been coming home loaded with yellowfin tuna. Once found, the tuna have chowing down on pretty much everything you put in the water. Cedar plugs and hoochies are really all you need. A little bigger variety hit the decks with live bait. We should start seeing some bigger models mixed in soon. 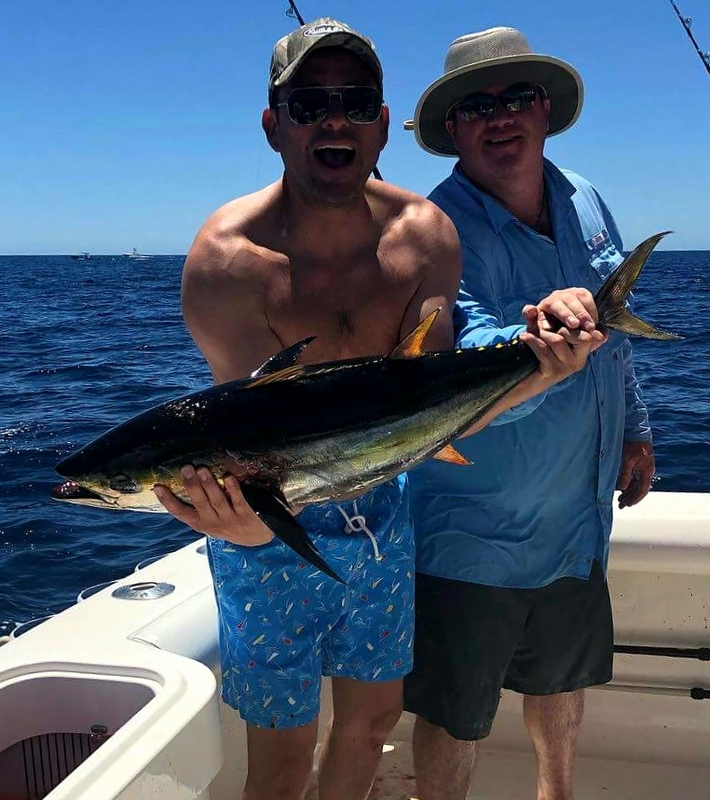 Billfish are also being found outside with striped marlin, sailfish and even a swordfish being caught this week. Most boats were filling the fish holds with tuna but the ones that put time in trolling were rewarded with multiple billfish strikes. Furthermore, those that ran to the south in search of marlin released upwards of 6-7 marlin a day. 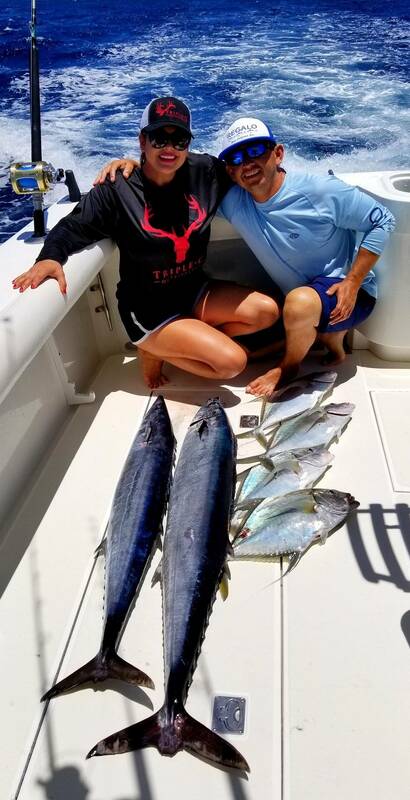 A few bull dorado were also found outside while trolling lures. The action has been sporadic but we should start seeing more dorado arriving soon. Things also picked up close to shore. 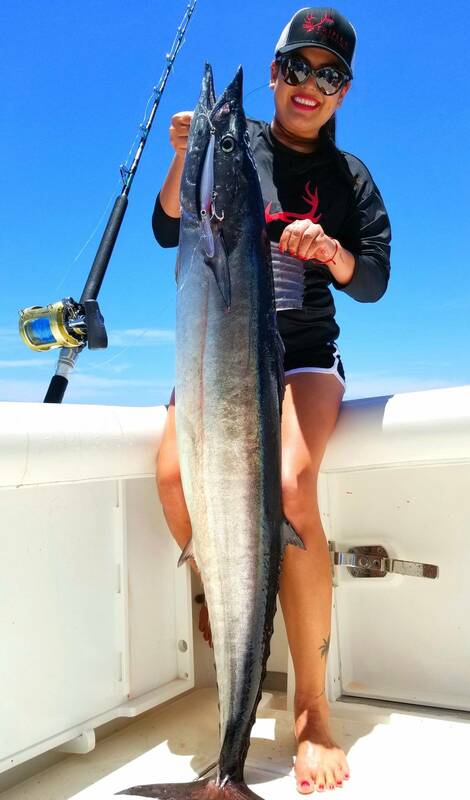 Wahoo are starting to roll in. Rapala Xrap Magnums did the trick again with several strikes coming on the reliable lures as well as on ballyhoo. Pompano, snapper and roosterfish action was also great this week. Live bait, especially, sardines were the ticket for action. Hoping to start seeing some grande roosters come rolling in any day now. So far, 2018 has been a great season with action pretty much nonstop since April. We still have availability for Scorpion and El Regalo but are quickly filling up. Don't miss out on your chance to fish aboard the East Cape's hottest boats. Visit www.scorpionsportfishing.com for more info. 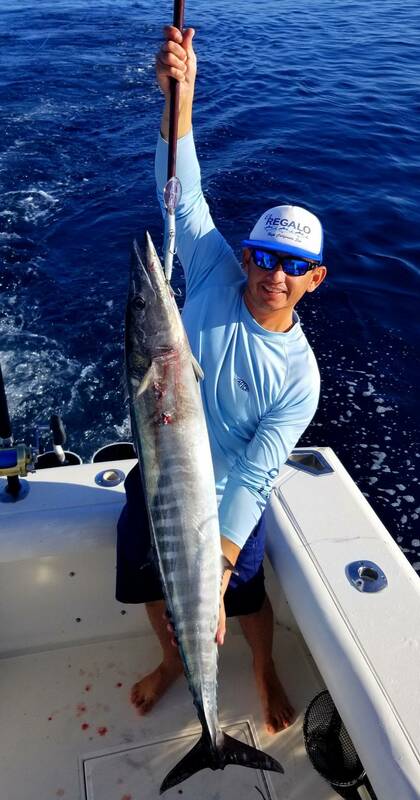 As always, follow Scorpion Sportfishing and El Regalo Sportfishing on social media for all the latest on East Cape fishing. Pippicidal and FM-Outside like this. Thanks for the report. 2 more weeks for me, Cant wait! Fish Scorpion & El Regalo likes this.